Tomorrow we travel to a high flying Harrow Borough who currently occupy the final play off place in The Southern League Premier South Division table having taken 43 points from 25 games, winning thirteen of them, drawing four and losing eight games. Only three of Harrow’s eight defeats have come at home this season which makes it clear to everyone that home form is vitally important should we want to reach a playoff position at the end of the season and picking up the odd point here or there away from home is a bonus as mentioned by Lee Spalding in recent interviews. Tuesday’s excellent victory down in Poole Town proves we can mix it up with the best and Harrow are very much up there with the best teams in the league. Having come across from the Ryman League you’d have forgiven Harrow for wanting to consolidate in their first season with travelling time vastly increasing as trips to Enfield and Potters Bar turn into Weymouth and Dorchester Town. Manager Lee Spalding has targeted a clean sheet as their primary objective as they head east to take on Harrow Borough. Marine have only kept the opposition at bay in two away games this term and Spalding is keen to extend that record as his side go hunting a third win on the bounce in Southern League Premier Division. Whilst Spalding is hoping for the same clinical edge at Harrow as shown in recent games, he knows more clean sheets away from home will be key for his side if they are to make a charge for the play-offs. He said: “The most important thing on Saturday is that we go there and keep a clean sheet. “That will be our first objective and then we must make sure our quality in the final third is as high as it was on Tuesday night. “If we do that, then I think we’ve got a great opportunity of getting something from the game. If we come away from there having taken something, I’ll be delighted. 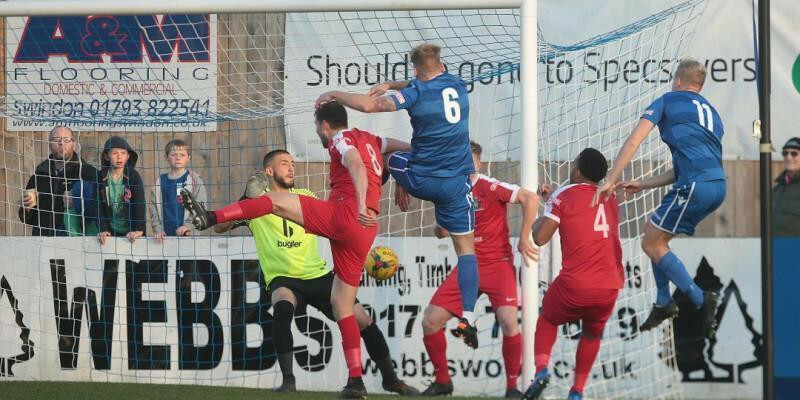 When the two sides met earlier in the season, Marine fell to a 2-1 loss at home – despite leading – and found themselves sitting perilously close to the relegation zone as a result. Entering Saturday’s return fixture, Spalding’s men are only seven points off their opponents in the final play-off spot after a dramatic upturn in form. Since the 2-1 defeat, Marine have gone on to pick up 24 points from the 12 games thereafter and enter Saturday’s game in confident mood. Spalding says his players should believe they can reverse November’s result as they are a completely different side now and has backed his side to claim the three points this time around. This vastly experienced goalkeeper has spent time at a number of clubs including Gibraltar based side Manchester 62 and Turkish side Besiktas. Top photo: Matt Williams scores our goal against Harrow in the 2-1 defeat at home.